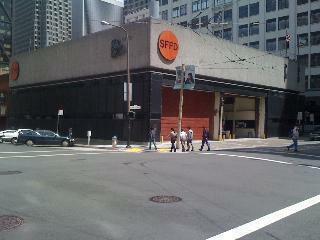 San Francisco Fire Station 13. 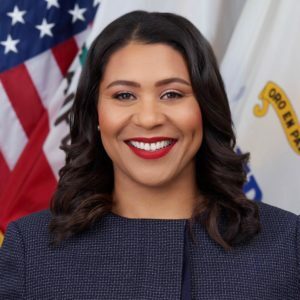 SAN FRANCISCO—On January 23, Mayor London Breed and San Francisco Board of Supervisor Aaron Peskin revealed that a public-private housing development opportunity in the Jackson Square neighborhood. According to a press release from the Mayor’s website, San Francisco will offer developers the opportunity to build market-rate housing above a renewed and seismically enhanced Fire Station 13, located at 530 Sansome Street. The affordable housing fees made by the project will fund the development of over 50 units of affordable housing at 772 Pacific Avenue in Chinatown, and preserve the New Asia Restaurant. The development is the result of a resolution introduced by Peskin asking the City’s Real Estate Division to issue a request for development proposals for 530 Sansome Street, which was unanimously passed by the SF Board of Supervisors. 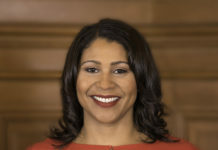 San Francisco Mayor London M. Breed. A legislative mandate assisting a market-rate development allows in-lieu housing fees and any other incomes that the project generates to fund the creation of affordable housing. 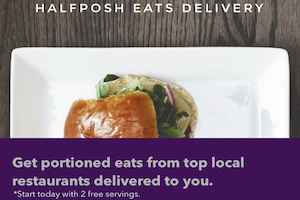 Early studies show the 8,936-square-foot site has the ability to be renovated into a 19-story building, providing over 170,000 square feet of density over an existing three-level basement. The Fire Department will need an estimated 22,000 square feet for a new fire station, above which approximately 99,000 saleable square feet of market-rate residential housing can be built. San Francisco Public Works and the San Francisco Fire Department worked together to create clear requirements for the new Fire Station 13 to meet San Francisco’s standards for resiliency. An interim plan has been created by the SFPD to temporarily relocate operations from 530 Sansome during construction that guarantees full service to the downtown area. There will be a vigorous review of proposals and the Fire Commission will propose the most responsive developer and plan. The SF Board of Supervisors and Mayor Breed will be expected to approve the developer selection, with development details and construction subject to the normal entitlement process.